This week on Read it! Review it! Share it! we are taking a meander into the eery both mainstream and alternative. Fist apocalyptic and then paranormal… spine tingly-dingling! 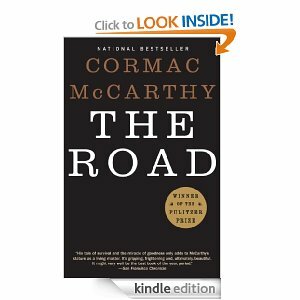 The name Cormac McCarthy is recognized by many as a master of a new sort of southern gothic, a stark voice of the American rural, blue-collar stiff. What he does is a little different, and he does it in a way that only a really brilliant writer can get away with. This honks some people off. Not me. While I don’t think The Road is his best novel, I really enjoyed it. The United States as we know it is gone. What made it so is not specifically mentioned. But a man and his son are traveling a road from the northern, colder climate southward toward the coast. Why? The body and mind need something to seize upon for survival. What of human relationship in such a world? What of hope and purpose? This is the emotional guts of this haunting story. Read it! Review it! Share it! ***warning: this ebook is currently $12! Ouch! Meet the Paranormal Posse, based in El Paso, Texas. A group of otherwise total opposites come together over their shared fascination with the paranormal. Geeky, yes. Compelling and intricately human, hell yes. 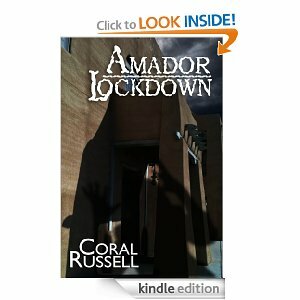 Amador Lockdown accomplishes a nice balance of spooky without making one’s head spin before vomiting. I’m not a horror movie fan. I don’t dig making light of evil stuff. But this novel finds a good human groove early on and sticks with it. This week on Read it! Review it! Share it! we are stepping out into a dystopian Arizona and a fantastical alternate history. Time for imagination to run wild! There has been an environmental disaster. Sea level has risen dramatically. Everything from before is remember as the Broken Times and the survivors of the human race have split between people just wanting to scrape what living they can and those who have born a super-fundamentalist religion, one imposed forcefully and rigorously on everyone. 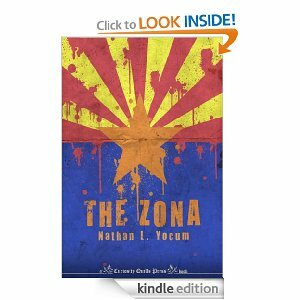 The Zona is creative and vivid. The language is just the way I like it, overwrought. But within the dystopian waste of a burning hot Arizona the overcooked language works most of the time. The lead character is known as Lead (cheeky, huh?) He starts off as self-righteous and somewhat hard to like, but the setting drags you into the story. And the pacing keeps you reading. 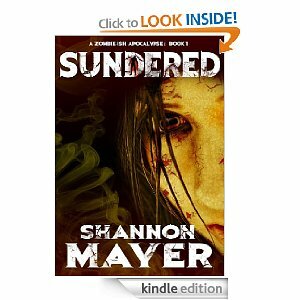 A great read for fans of dystopia. Read it! Review it! Share it! Breaking from my mold, this collection of stories is not published independently. But I couldn’t put off reading the book any longer. History diverges after WWII when an alien life form lands on Earth in attempt to warn us of a strange virus that becomes known as the Wild Card virus. Some people it gifts with super powers, some with monstrous deformities. Thus it creates Aces and Jokers. 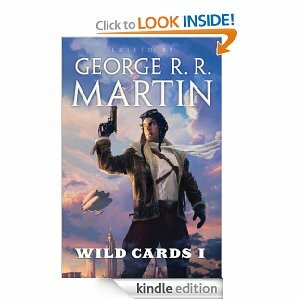 Each story within the Wild Card universe is written within the same alternate history, but they can involve new characters or old–written by a variety of authors in a variety of styles. They are all good. This first volume starts with a dieselpunk-retro-atomic flare that is ridiculously enjoyable. It is classic vinyl sci-fi with a modern attitude. 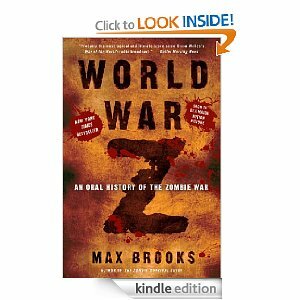 And the details of the alternate history are forked over at such a teasingly slow pace that it is tough to stop reading. My waiting to get this book paid off when the ebook price fell to $2.99! (still there at time of writing). Read it! Review it! Share it!